Broderick "Rickey" Smiley is an American stand-up comedian, television host, actor, and radio personality, known for his prank phone calls. The calls feature Smiley disguising his voice and carrying on a conversation with the recipient of the call. Happy 49th Birthday Ricky! Michael Bivins is one of the founding members of New Edition. When the group broke up he formed Bell Biv DeVoe with Ricky Bell and Ronnie DeVoe. The group is credited with being one of the pioneers of the new jack swing sound. Their debut album, Poison, peaked at number five on the Billboard 200 chart in 1990. Happy 49th Birthday Mike! 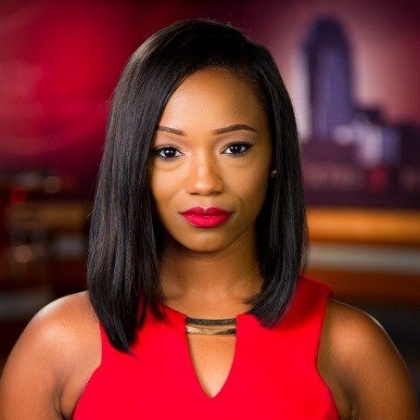 Andrea Finney is a native Arkansan and joined the KTBS 3 News team (Shreveport, LA) in August of 2016. As First News Multimedia Journalist and KPXJ CW 21 9am Anchor, Andrea enjoys sharing the stories of many in the ArkLaTex. She has a special interest in covering health, money matters and education. Believing education and hard work create the foundation for success, she made the decision to further her education at Southern New Hampshire University. Andrea earned a Master of Arts in Communications in February of 2015. Eager to develop and expand her skill set, Andrea was also hired as commercial work talent for Ron Sherman Advertising and Production with spots airing in the Atlanta, Georgia area. She also serves as a member of the National Association of Black Journalists. Andrea lives life believing the only way to succeed is by becoming well versed in multiple areas. More importantly, never stop dreaming and aspiring to achieve your goals; believe in yourself. With continued dedication you can be anything you want to be, so simply get ready. Today, we celebrate you Andrea! Happy Birthday! !